UPDATE: As promised, here is Honor's answer regarding the EMUI 8.0 update for the Honor 8: "To ensure Honor 8 users also benefit from the latest user experience upgrades, new functions of EMUI 8.0 will be ported to the Honor 8. Further update details will be released within one week. Please stay tuned and we thank you for your support and interest in Honor." We'll follow-up with more details next week, hopefully. Honor has just announced that 9 smartphones will receive the new EMUI 8.0 in China. 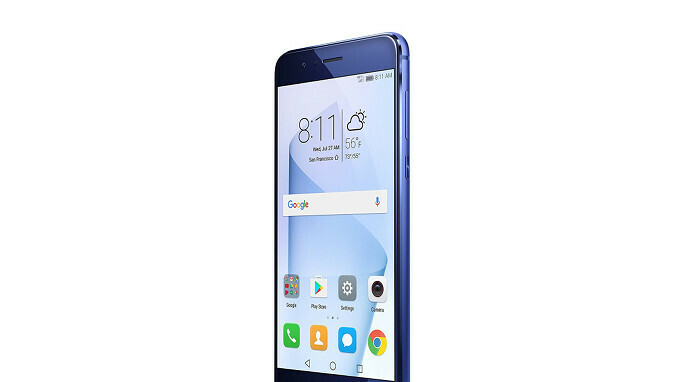 Among them, the Honor 8 is mentioned although an official confirmed the smartphone will not receive an Android 8.0 Oreo update. It's true that EMUI 8.0 is based on Android Oreo, but Honor may also add just some features of the new user interface on the phone, not the full version. Basically, this means that Honor 8's new UI will look like EMUI 8.0, but it will not include Oreo. In any case, here is the full list of Honor smartphones that have been confirmed to receive EMUI 8.0 in the coming months: Honor 7X, Honor 8, Honor V8, Honor Note 8, Honor 8 Lite, Honor 9, Honor 9 Lite, Honor V9, and Honor V10. Keep in mind that getting EMUI 8.0 doesn't necessarily means these smartphones will be updated to Android 8.0 Oreo. Still, we're waiting for Honor to make some clarifications to the statement and we'll update the news if and when we have an answer. Its not like Oreo gives any tangible difference to the user other than more bugs. The minor features on Oreo are usually already present in skinned roms and with EMUI8.0 there will be more features not present in stock android. Where is honor 9i and honor 6x...?? They promised these two also would get android 8.